GoConex switches and power controllers are a true, wire-free switching solution that completely eliminates the traditional, wired “switch leg”. This means no wire, no boxes and reduced labor traditional required to install as switch. 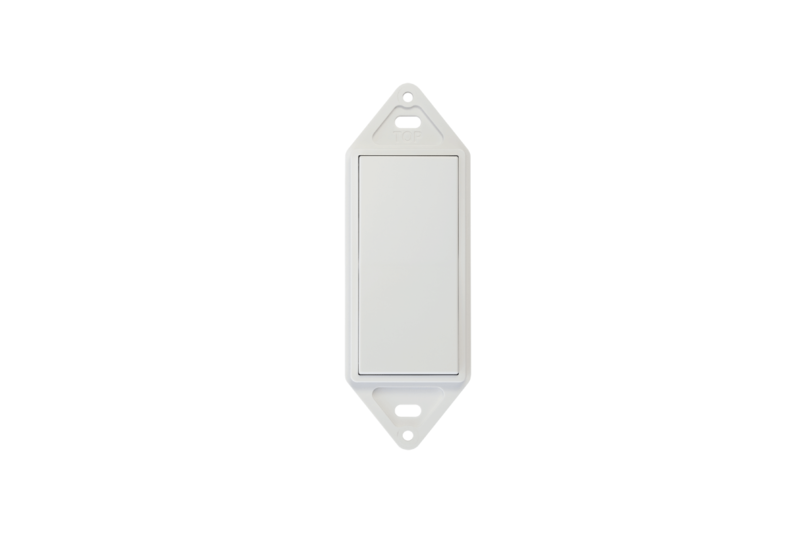 Wire-Free switches mount on any surface. 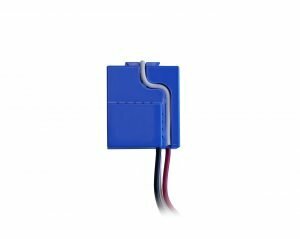 Power controllers are installed in the electrical junction box between the power and the light. 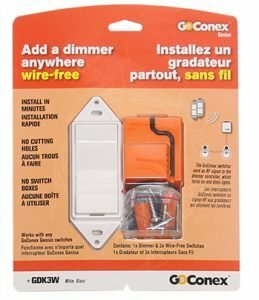 GoConex switches send “on”, “off”, and “dim” commands wirelessly to power controllers which dim or turn the light on on/off. GoConex switches and controllers are securely paired using RF. Pairing can happen on the job site or on the shop bench. 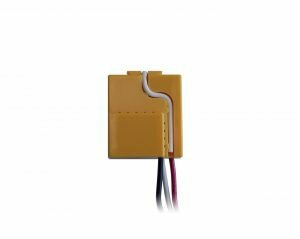 GoConex functions like a wired switch and doesn’t require external devices or programming to operate. GoConex allows 10 switches to be paired to a controller and an infinite number of controllers to be paired to any switch. GoConex enables easy multi-way, zone, all-off and portable switching at a range of up to 250 feet. Wire-free switches convert the cost of traditional wiring into results people want, disrupting the existing trend that smart home features cost more. Every GoConex Genius installation is delivered SMART and Building Management System ready. Conservation – reduce copper, plastic, steel and carbon footprint on every installation. Sustainability – No more wire, boxes and materials from renovations entering landfills. 33% – 65% Faster Installation – Eases the pressure for needed skilled labor by providing the ability to do more projects with the existing labor and earn more profit. Build more – Reduce pressure from labor shortages to keep building prices affordable and attract more buyers. Faster to cash – All trades move through the build faster to turn the project over to the customer quicker. Flexibility – Place or add switches after the space is painted and change locations at any time. Change what any switch controls without cutting holes or damaging the structure. Make more money – offering every customer All-off, zone and portable switches at a price every buyer can afford in each market. No Extra Cost –GoConex costs the same or less than traditional wired infrastructure…guaranteed. SMART / BMS Ready – Add a GoConex gateway to access your GoConex power controllers from your mobile device or BMS system. No Extra Cost – GoConex costs the same or less than traditional wired infrastructure…guaranteed. Unlimited Flexibility – Change what any switch controls at any time without cutting holes or damaging the structure. Controls Where Needed – Place or add switches anywhere to accommodate new needs: convenience, small children, temporary or permanent physical limitations, etc. Controls People Know – GoConex looks, feels and works like the controls people use every day = SMARTer homes and businesses. Conservation – Reduce 1000 feet of wire per home which equates to less copper, plastic, steel and a smaller carbon footprint.